On Sale Now! 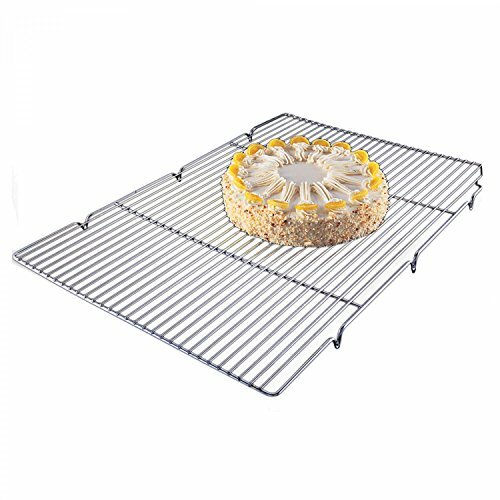 Save 8% on the Focus Foodservice 301WS Cooling Grate With Integrated Feet, 16-1/2'' x 24-1/2'' x 1'', Chrome Plated by Focus Foodservice at Seasons Cafe Bakery. MPN: 301WS. Hurry! Limited time offer. Offer valid only while supplies last. Chrome plated heavy gauge steel construction with two welded support rods for greater rigidity. Fits into standard full or half size sheet pans. Chrome plated heavy gauge steel construction with two welded support rods for greater rigidity. Fits into standard full or half size sheet pans. 901216GC and 301WS feature integrated feet for greater air circulation.